By Michael Poh in Concept. Updated on October 3, 2018 . First coined in 1990 by Tom Caudell, a researcher at aircraft manufacturer Boeing, ‘augmented reality’ used to refer to a head-mounted digital display worn by aircraft technician to guide them in the assembly of electrical wires in aircrafts. Today, the fundamental idea remains in the definition of AR, which according to Digital Trend is "the interaction of superimposed graphics, audio and other sense enhancements over a real-world environment that’s displayed in real-time". By this definition, AR can refer to some technologies which have already existed for years. Take for instance sports telecasting where you see colored lines drawn against real-time gameplay of say, a soccer match. These lines may be used to indicate the offside boundaries in which the players must not cross or to show the movements of the ball or players. AR is not to be (commonly) confused with Virtual Reality (VR), where the primary goal is to replace the real world with a simulated one. We often take such existing technology for granted because they are so prevalent and commonplace that we don’t associate them with what we normally assume as ‘high-tech’ AR. 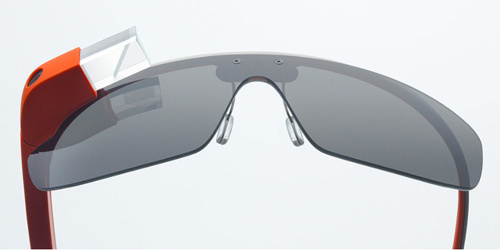 If you ever need proof that AR will be the next big thing, just take a look at the upcoming Google’s Project Glass, a highly-anticipated head-mounted display that aims to bring AR to the next level. The key draw of having AR integrated with eyewear is that users will be able to view information and interact with the computer and the internet much like how we do for smartphones today, except this is hands-free. Get info, notifications, emails, weather, directions and reminders or send voice commands, take snapshots, dictate text, ask for directions and more, all from a pair of eyewear. By making the technology that recognizes any real-world objects and images rather than just codes (QR anyone? ), AR is making a seamless transition that is universally accessible. The AR we see today mostly on our smartphone apps are pretty interesting but not yet seamlessly integrated. We still need to hold up the smartphone or tablet and switch on the camera view to see results. It just doesn’t gel well with the concept of augmented ‘reality’. It’s a display of the reality rather than the reality itself – still not immersive enough. With Project Glass, comfortable eyewear is coupled with intuitive interactions e.g. voice commands, and direct presentation of information in front of our very eyes. Add in powerful and stable connectivity and user-friendly usage and AR will not just be about what we see; it will be the ultimate social media tool for interacting and sharing our experience with netizens. AR technology is taking mobile devices by storm because of their mobility and increasing technical capabilities. They have the necessary hardware components such as the GPS receiver, camera, screen display, magnetometer (compass) and accelerometer (the thing that auto-rotates your screen) for developers to create AR-based apps. The fierce competition between mobile giants like Apple, Samsung, Google and the rest are advancing the specs of the devices and paving the way for more advanced AR apps. An alternative would be an AR app on your smartphone that offers you personalized shopping experience. 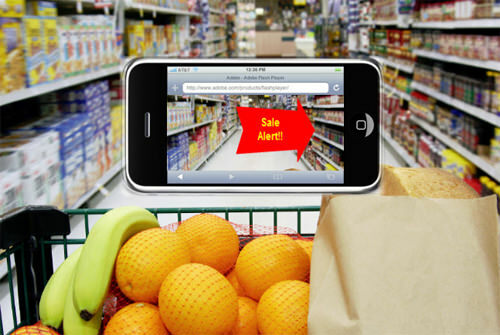 IBM research is already developing a mobile AR app for your shopping needs. What you’ll need to do is to specify your criteria for your product. Depending on the developer of the app, the criteria can range from best-selling and best-rated products to healthy, low-fat and low-sugar products. Then, as with most other AR apps, you simply pan your camera across a select category of products, say cereals, and voila! The screen display reveals the special cereals that you’d want to get. Fancy recognizing constellations in real-time when you look upon the night skies? Well, look no further with Google Sky Map, an AR app that allows you to identify stars and constellations wherever you are. All you need to do is to point your smartphone towards the sky and the display will map out the various constellations. If the heavenly bodies are of no interest to you, consider another educational AR that seeks to ground students’ knowledge on earthly, geographic skills. GeoGoogle overlays geographical measurements like latitude and longitude on the surroundings in real-time to better appreciate their real-world applications. Students are also able to use it for understanding navigational fundamentals such as direction (via compass) of their location, speed of movement of objects and distance to a specific destination. All these can be done with the camera in your mobile device. 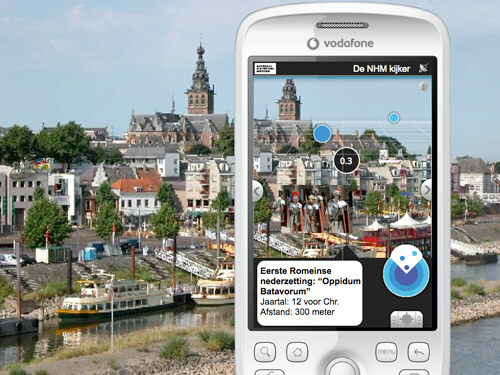 Location-based apps is one of the most common AR technology we currently have. All you need to do is point your smartphone or tablet to your surroundings and you’ll see the magic unfold on your screen display. Using the device’s GPS receiver, magnetometer and the accelerometer, you will be able to find nearby restaurants, ATMS, hotels and other common places, all in real-time with AR apps like Wikitude. 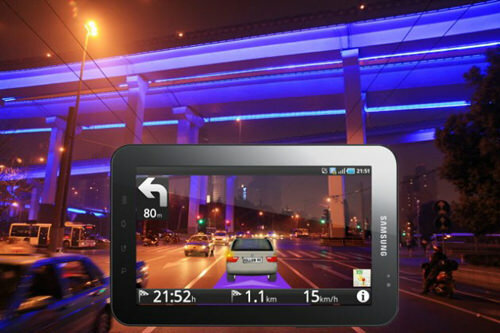 Other similar navigational apps provide information on places or buildings when you point the camera at the location. You can also improve your general knowledge of the world with apps like NearestWiki. The advertising industry doesn’t spare AR technology as well. What most advertising companies do now is to utilize your mobile devices’ image recognition capabilities to produce the augmented experience. This leaves a positive and deep impression for viewers, and that’s what exactly advertising want to achieve. Pointing your camera towards a specific object (e.g. 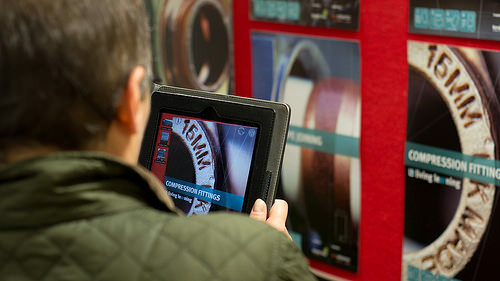 a still poster) generates an animation or plays a video and turn what is otherwise a lifeless ad into an immersive one. Using the accelerometer, the animation or video follows the movement of your device no matter how you hold it. Check out the amazing ad campaigns for the Volkswagon Beetle and Starbucks. How about the gaming industry? There are loads of potential for AR to develop in this area. Google released a simple AR shooter for Android users known as DroidShooting. Holding your mobile device up and looking through its camera on your surroundings, you’ll see flying Androids targets in the actual environment of your location. It probably looks pretty primitive to you for now, but take a minute to imagine where AR gaming can progress from here. As AR becomes as seamless as looking through a pair of eyewear, the experience will inevitable becomes even more immersive. 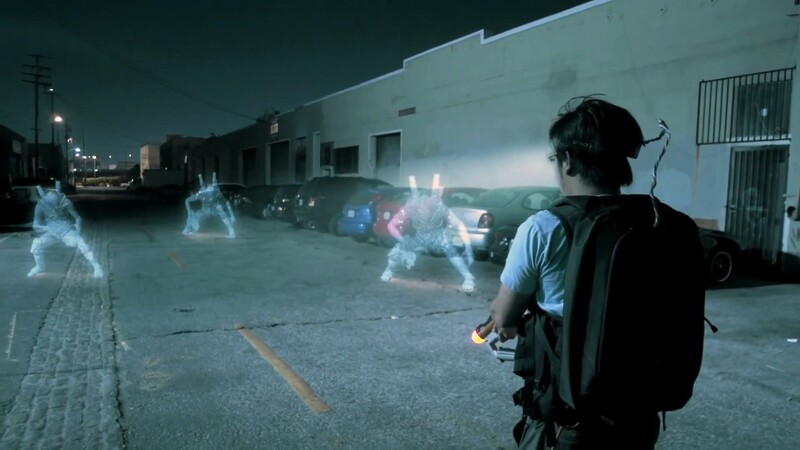 Coupled that with 3D technology and improved graphics, AR gameplay is expected to wow all of us. Better yet, here’s an awesome demo of what it might appear to be like in the near future. Speedy Internet connections and improved mobile technology are bombarding us with information. We are checking our social networks, emails, news and sites from the moment we get up from bed. The next phase of this information age is to cater selective portions of information to each individual and make them a part of our lives. Information, experience and reality will merge to become one as AR develops to its pinnacle and become the next revolution in information technology. Switching from one app to the next to get something done may need to be discarded and replaced with a unifying system for that seamless information flow. When that can influence our decision-making and interaction with the world at large, is when AR will truly alter the way we experience reality.